Michael Kors fall campaign for Macys.com. 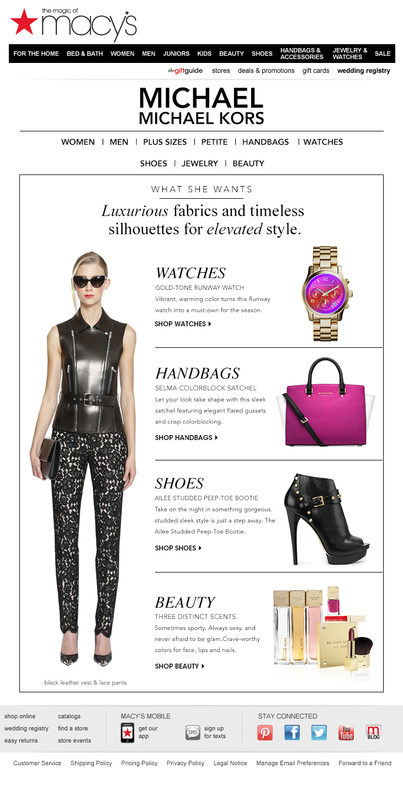 A sitelet created for Michael Kors on Macys.com. The purpose was to engage customers with the new look of the brand shop, as well as drive them to the Michael Kors product pool. Emails support and drove to the brand shop.